Sumru Belger Krody is senior curator at the George Washington University Museum and The Textile Museum. 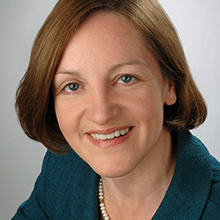 Her research interests are late antique and Islamic textiles with special focus on the influence of technique and structure on textiles' artistic, social, and economic power. She has worked in curatorial capacity on more than fifteen Textile Museum exhibitions. Over the years she has authored and co-authored four books accompanying some of her major exhibitions: The Sultan’s Garden: The Blossoming of Ottoman Art (2012); Colors of the Oasis: Central Asian Ikats (2010); Harpies, Mermaids, and Tulips: Embroidery of the Greek Islands and Epirus Region (2006); and Flowers of Silk and Gold: Four Centuries of Ottoman Embroidery (2000). Born in Izmir, Turkey, Krody received her M.A. in Classical Archaeology from the University of Pennsylvania. 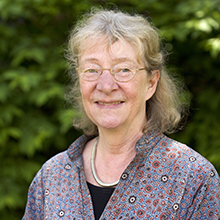 Ruth Barnes received her doctorate from Oxford University and was previously textile curator at the Ashmolean Museum, where she organized exhibitions on Asian and Islamic textiles, early Indian Ocean trade, and the theme of pilgrimage. She was also curator of three new permanent-collection galleries for the Ashmolean’s reopening in 2009. Her publications include The Ikat Textiles of Lamalera and Indian Block-Printed Textiles in Egypt: The Newberry Collection in the Ashmolean Museum, Oxford. Her most recent book, Five Centuries of Indonesian Textiles, co-edited with Mary Kahlenberg, received the R. L. Shep Award in 2010. Birgitt Borkopp-Restle graduated with a PhD in art history from Bonn University. In 1993 she was appointed curator of the Department of Textiles and Costume at the Bayerisches Nationalmuseum in Munich, where she curated exhibitions, published, and taught at the universities of Augsburg and Bamberg. From 2005 until 2008, Borkopp-Restle served as director of the Museum of Applied Arts in Cologne, while continuing to teach at the universities of Bonn, Dortmund, Düsseldorf, and Basel. Since 2009 she has established M.A. and Ph.D. programs for the history of textile arts in Bern, and served as president of the Centre International d’Etude des Textiles Anciens. Her main subjects of research are medieval and early modern European textiles, the history of textile collections, the role of textiles in court ceremony and representation, and the exchange between the Orient and the West during the sixteenth to eighteenth centuries. Walter B. Denny received his M.A. and Ph.D. in Fine Arts from Harvard University. His primary field of teaching and research is the art and architecture of the Islamic world, in particular the artistic traditions of the Ottoman Turks; Islamic carpets and textiles; and issues of economics and patronage in Islamic art. He has held curatorial positions at the Harvard University Art Museums and the Smith College Museum of Art, and is currently the Charles Grant Ellis Research Associate in Islamic Carpets for the George Washington University Museum and The Textile Museum. Since 2007 he has served as senior consultant in the Department of Islamic Art at the Metropolitan Museum of Art in New York. 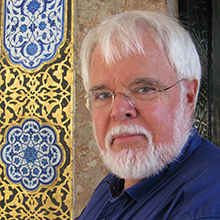 Denny has curated more than two dozen exhibitions and is the author of over two hundred publications on Islamic art, including: The Carpet and the Connoisseur (2016), How to Read Islamic Carpets (2014), and The Sultan's Garden: The Blossoming of Ottoman Art (2012). In 2012 he received the George Hewitt Myers award for lifetime achievement in textile scholarship from The Textile Museum. 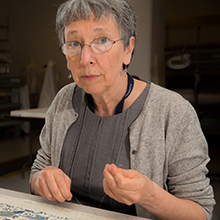 A scholar on East and Central Asian textiles, Mary Dusenbury documented and oversaw the conservation and rehousing of the Spencer Museum's Asian textile collection; wrote a catalogue raisonné of the collection, Flowers, Dragons and Pine Trees: Asian Textiles in the Spencer Museum of Art (2004); and curated an exhibition of the same title. Recently she served as project director and editor for an international, interdisciplinary study of color in ancient and medieval East Asia, which culminated in the publication Color in Ancient and Medieval East Asia (2015). Dusenbury received her master’s and doctoral degrees in art history from the University of Kansas. She is a member of the Association of Asian Studies, the Textile Society of America (of which she has served as president), the Oxford Asian Textile Group, and the Centre International D’Études des Textiles Anciens in Lyons, France. 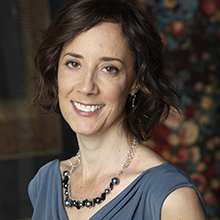 Sarah Fee oversees the Royal Ontario Museum's collection of textiles and related pieces from Asia, Africa, and the Islamic world. 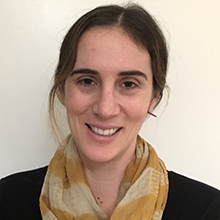 With training in anthropology and African studies, Fee's major research focuses on the island of Madagascar, where she lived for a number of years. She curated the exhibition Gifts and Blessings, The Textile Arts of Madagascar (2002) for the Smithsonian's National Museum of African Art, and, together with Georges Heurtebize, founded Berenty, the Tandroy Ethnographic Museum, in Berenty, Madagascar. Most recently her interests have spread to the dress and weaving traditions of the Indian Ocean, including Southeast Asia, East Africa, Southern Arabia, and India. Thematic interests include textile trades, cross-cultural appropriations of cloth, gender, ceremonial exchange, spinning and dye technologies. Fee is cross-appointed to the Art Department at the University of Toronto. She is a chercheuse affiliée at the musée du quai Branly, and from 2010 to 2014 served as a board director at large of the Textile Society of America. Esther Méthé graduated from the University of Alberta, Edmonton, with a Master of Science specializing in textile conservation. In 1995, she became the head of the textile conservation laboratory at the Royal Ontario Museum in Toronto. In 2002, Méthé was appointed Margaret Wing Dodge Chair in Conservation, Chief Conservator, at The Textile Museum, where she oversaw the safe storage and display of the museum's collections, and educated students, museum professionals, and the public about the care of textile collections. Méthé returned to Canada in 2015, where she now conducts private consultation, treatment, and research. 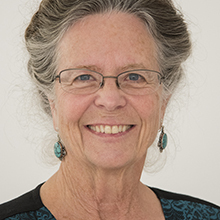 She has lectured internationally, published articles in conservation and museum journals, and served as a member of various professional organizations, including the board of the North American Textile Conservation Conference. 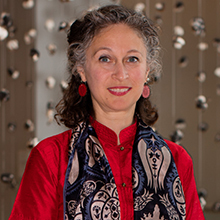 Cristin McKnight Sethi’s research and teaching interests include South Asian art with emphases on textiles and folk art; the intersection of gender and practices of making; networks of circulation and exchange; the anthropology of art; and postcolonial theory. She has published on contemporary craft in India, the history of natural dyes in Asia, and the production and circulation of folk embroidery during the late nineteenth century. Sethi has also held curatorial and research positions at the Los Angeles County Museum of Art, the UCLA Fowler Museum, the Asian Art Museum San Francisco, the Philadelphia Museum of Art, and the Museum of International Folk Art in Santa Fe, New Mexico. Sethi’s current book project examines gender, labor, and hand-embroidery in Punjab during the nineteenth and twentieth centuries.